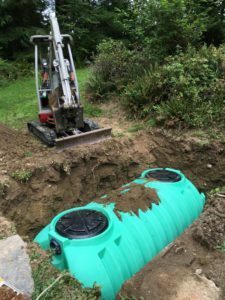 Many people with septic system problems such as slow running tubs and sinks, gurgling drains, sewage backups and water pooling in their yard assume that their septic tank is at fault. The primary cause of septic system problems is the septic drain field becoming blocked. A septic drain field is responsible for distributing the effluent that collects in the septic tank, letting it filter into the soil. A septic drain field problem can be inconvenient and costly, and the best way to reduce the disruption to your life is to identify and fix small problems before they become big. Contact Vac-Tec LLC if you start to notice any of the above telltale signs. 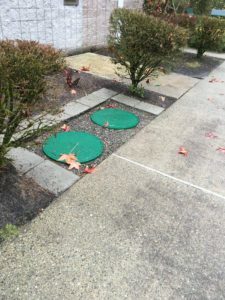 We provide professional, reliable septic drain field repair in Edgewood, WA and its surrounding areas. With years of experience, we are proud to be a premier source for drain field repair in the Edgewood area. We take great pride in offering a fast, affordable drain field repair to Edgewood clients, done with minimal disruption to their daily operations. 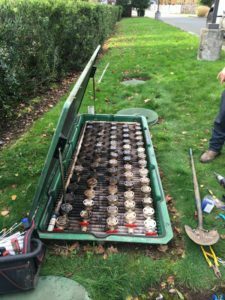 We thoroughly determine the cause of the problem and use the latest equipment and methods to make an appropriate drain field repair or drain field replacment. We can also help you arrange a preventative maintenance schedule to keep your drain field working efficiently. The need for a leach field repair can be very unsettling and waiting to get repairs can only worsen the problem. Given that septic systems are such a crucial component to any sewage system, it is essential to get leach field repair you can rely on. When you are in need of prompt leach field repair in Edgewood, call us. We have years of experience offering leach field repair services to homeowners and commercial property owners. We can schedule a leach field repair service at a time that best suits you. If you have any questions or need immediate drain field repair in Edgewood, please contact Vac-Tec LLC by giving us a call at (253) 777-4887.